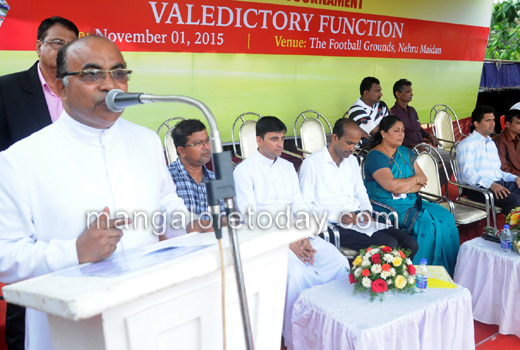 Mangaluru, Nov 02, 2015: A jubilant Jeppu Avengers team received the Valencia Premier League Championship -2015 Trophy from Fr James D’Souza, Parish Priest of St Vincent Ferrer Church, Valencia at a ceremony held at the football ground of Nehru Maidan on November 1, Sunday. 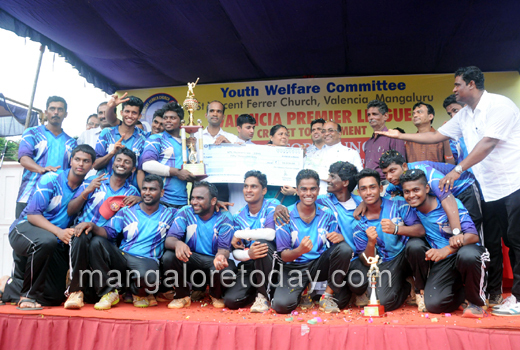 In the finals of the tournament, Jeppu Avengers defeated Angelore Avengers to clinch the title. 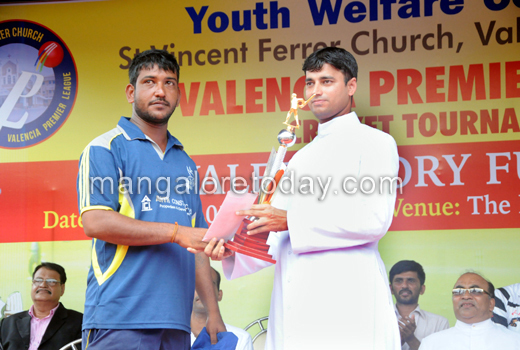 The four-day Valencia Premier League (VPL) was organised by the Youth Welfare Committee of St Vincent Ferrer Church. 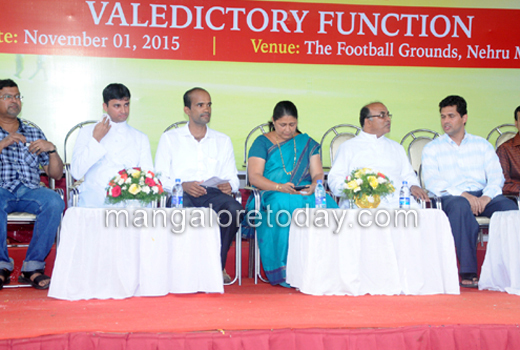 The winning team walked away with a cash prize of Rs one lakh apart from the Trophy. 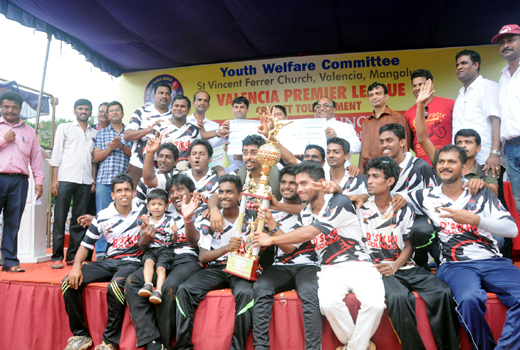 The runner-up team Angelore Avengers received a cheque of Rs 50,000 from another chief guest city Mayor Jacintha Vijay Alfred. The Man of the Match Award went to Dilhan of Jeppu Avengers while the Best Batsman and Best Bowler Awards went to Nehal of Angelor Agngers and Awin from Jeppu Avengers respectively. 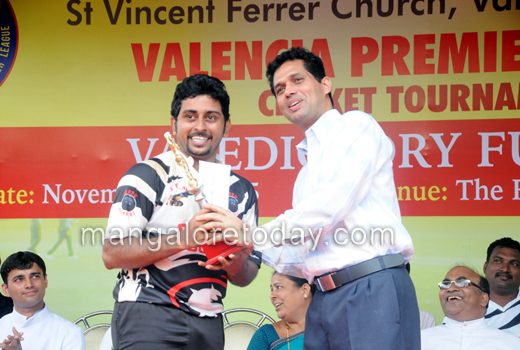 The VPL Player of the Tournament Title went to Prajwal of Cascia Super Kings. 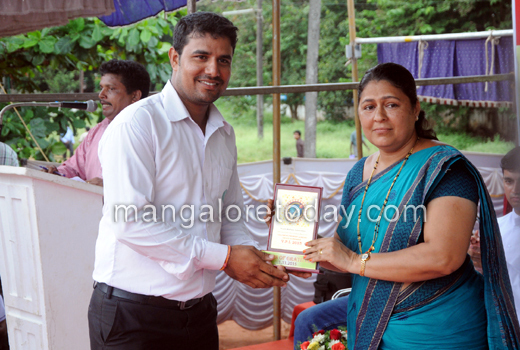 All of them won cash prizes of Rs 10,000 each. 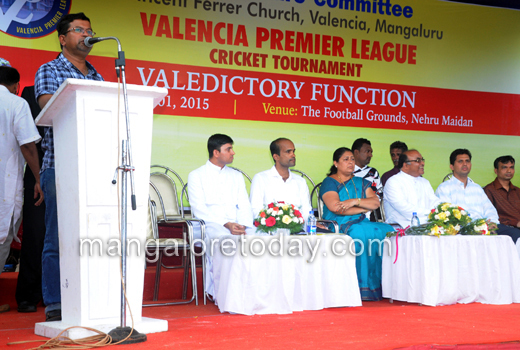 Patrick D’Souza, organiser of the tournament, Arun Raj Rodrigues, Vice President of Valencia Parish Council, Louis J Pinto, former vice president of the Council and others were present.